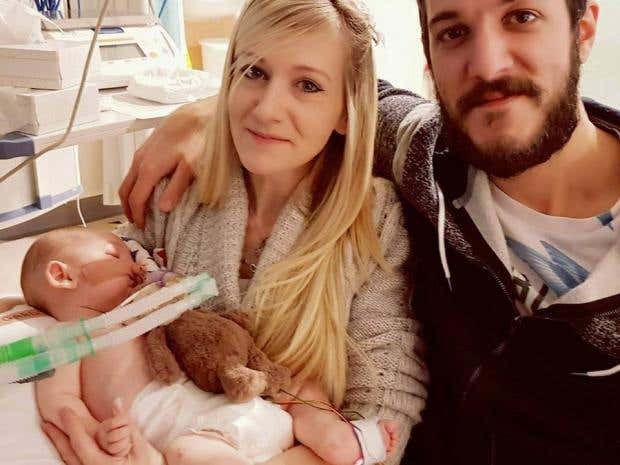 Charlie Gard, a terminally ill infant of British Nationality caught the attention of the media after a decision was made by European courts to take him off life support against his parent’s desire. It was also reported by Italian media that plans were being made to ask if Charlie can be moved from London's Great Ormond Street Hospital to a Vatican owned facility in Rome. The president of the United States, president Donald J. Trump also tweeted about the case, implying that the U.S would love to help. Hashtags #savecharliegard! #charliesfight #charliegard have been created to stop the decision of the court from taking effect. It is not certain at the moment how the U.S government may be able to provide assistance to the poor child and his devastated parents. The director of media affairs at the white house, Aguirre Ferre said that President trump hasn’t spoken directly to the child’s parents but administration officials have reached out through the British Government. The Independent, however reported that an unnamed US hospital is ready to give the infant free experimental treatment if he is able to travel to the US. During the legal fight that led to the decision, Charlie’s parent argued that there was an experimental treatment in the United States that they are yet to try. The court on the other hand decided that the therapy wouldn’t help and that more treatment would most likely cause more harm to the infant. Charlie, who turned 11 months old on July 4, has a rare genetic disorder that has deprived him the ability to move his arms and legs eat or even breathe on his own. His case was taken to the European Court of Human Rights, which refused to hear the matter, thereby allowing the previous rulings of other court to take him off life support. His story became a worldwide sensation as his parents, Chris Gard and Connie Yates, let out their frustration in a heartbreaking video released last week. They mourned their helplessness on not having a say on when or where their child would die. Doctors already concluded earlier this year that there nothing could be done to save the infant. His parents pushed back saying there was an experimental drug in the United states that may work. To this end, a gofundme account was opened by Charlie’s mother and over 1.3 million pounds has been raised.